After completing his higher degree Professor Dwyer was awarded a scholarship to work at Yale University. During his 15 years at Yale Professor Dwyer was promoted to Professor of Medicine and Paediatrics and for seven years was Head of the Department of Clinical Immunology at that University. He returned to Australia in 1985 as Professor of Medicine and Head of the School of Medicine at the University of New South Wales and Director of Medicine for the University’s major teaching hospital, Prince of Wales in Randwick. On return to Australia his clinical and research work was dominated by realities associated with the HIV epidemic. He was awarded an Order of Australia in 1991 for his services to Medicine. Professor Dwyer has championed in Australia the resurgence of clinician governance and is much involved in efforts to create structural reform within the Australian health care delivery system. He is a member of the NSW Department of Health’s major advisory Council and Co-Chairman of the Medical Staff Executive Council of NSW. He founded the Australian Health Care Reform Alliance, which sees 54 organisations now speaking with one voice on the need for reforms to the Australian Health Care system. He is the Clinical Consultant to the NSW Inter-Agency committee examining ways to better protect consumers from Health related fraud. 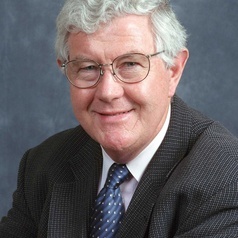 Professor Dwyer is one of the five co-founders of the Friends of Science in Medicine, a group set up in late 2011 to foster good science in medicine.